NEW: Guards Against Insanity + What Do You Meme? Add your friend's details to the box below and a new account will be created for them with a free ticket to NEW: Guards Against Insanity + What Do You Meme?. 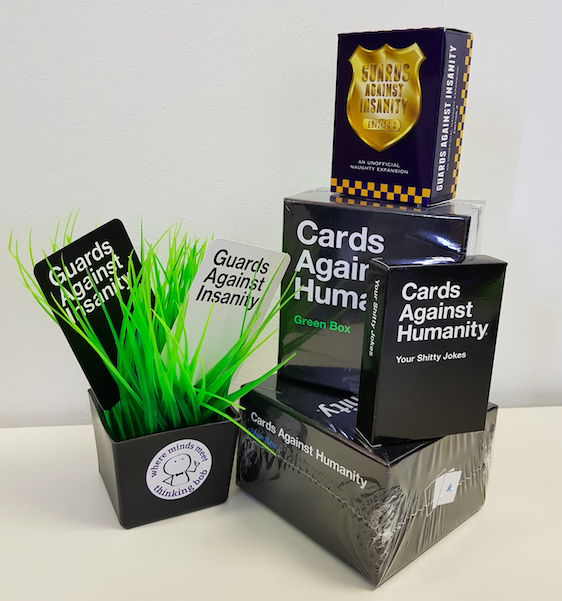 Cards Against Humanity has become one of our favourite socials but tonight we're taking it one step further with Guards against Insanity card pack to play alongside Cards Against Humanity boxsets and also 'What do you Meme?' which is a brilliant photographic twist on the well known Cards Against Humanity game. Join us for a night of devilish, sadistic, twisted but hilarious fun as we go so unleash your wild side and see who goes home the most wicked!